Price includes full colour digitally printed centres. Not only can we print the wording of your choice and position, but also a logo of your choice can be added, simply upload it when ordering! Please get in touch for tail printing options. 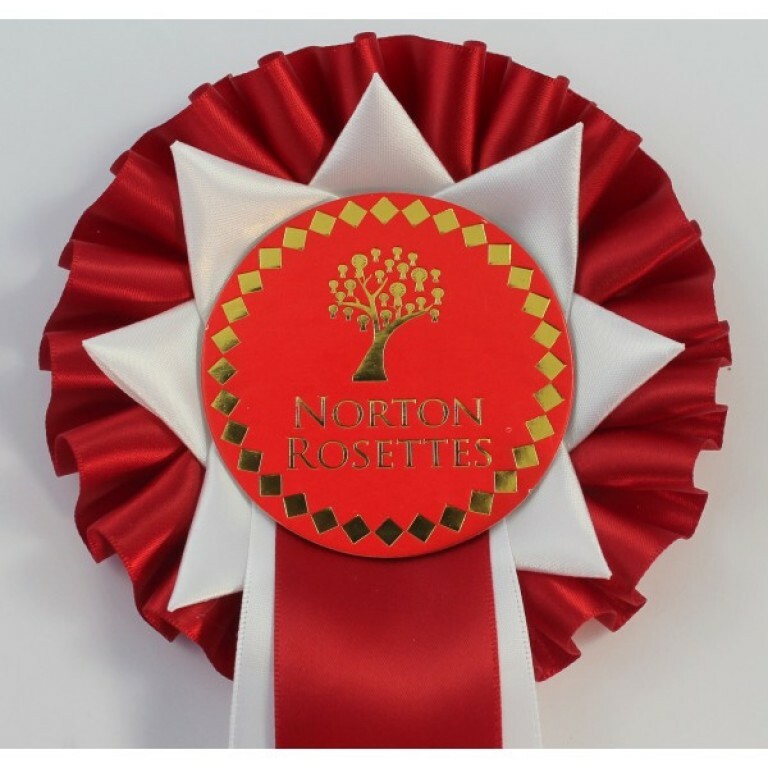 Minimum order of 60 rosettes. Tightly pleated ribbon, 38mm wide, with a layer of contrasting points lying on top, around a 68mm round centre. Supplied with 2 x38mm wide , 220 mm long tails.